It is knowledge about a specific field of interest/subject. Considering a software Development case, domain knowledge is knowledge about the environment in which the target system operates. Where do banks get the money to lend? They get it from people who open accounts. Banks act as go-betweens for people who save and people who want to borrow. If savers didn’t put their money in banks, the banks would have little or no money to lend. Industrial or Development banks collect cash by issuing shares & debentures and providing long-term loans to industries. The main objective of these banks is to provide long-term loans for expansion and modernization of industries. Every country of the world has a central bank. In India, Reserve Bank of India, in U.S.A, Federal Reserve and in U.K, Bank of England. These central banks are the bankers of the other banks. They provide specialized functions i.e. issue of paper currency, working as bankers of government, supervising and controlling foreign exchange. A central bank is a non-profit making institution. It does not deal with the public but it deals with other banks. The principal responsibility of Central Bank is thorough control on currency of a country. Co-operative banks generally give credit facilities to small farmers, salaried employees, small-scale industries, etc. Co-operative Banks are available in rural as well as in urban areas. 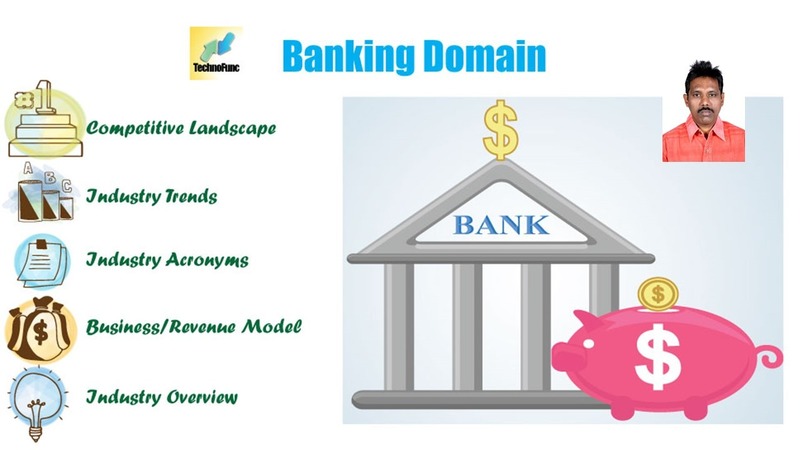 The functions of these banks are just similar to commercial banks. These banks are mainly concerned with financing foreign trade. They are for people who want to keep their money in a safe place and earn interest at the same time. We don’t need a lot of money to open a savings account. They are savings deposits that require you to keep a certain amount of money in the bank for a fixed period of time. Usually banks charge a penalty if we withdraw our money early. Individual retirement accounts: They are savings deposits that offer an excellent way to save for our later years. They offer safety and convenience. We keep our money in the account and write a check when we want to pay a bill or transfer some of our money to someone else. Banks sometimes charge a fee for checking accounts, many banks also offer no-fee checking and checking accounts that earn interest if you agree to keep a certain amount of money—a minimum balance—in the account. They are similar to checking accounts that earn interest, except that they usually pay a higher rate of interest and require a higher minimum balance. Personal Bank Loans are the credits which a bank offers to its customer to meet his instant personal requirements ranging from home renovation to purchasing of new laptop, a getaway with family or for reimbursing the credit card liabilities, for buying a new car or for child’s education, etc. Personal loan simplifies the cash flow of the customer besides handling its immediate needs. Almost everyone will require a home loan if they are looking to buy a house of their own. In fact providing that we can afford it, getting a home loan is one of the best investment decisions that we can make. Any person who opts for home loan is entitled for tax benefits under Income Tax Act, 1961 on principal and the interest amount in the form of deductions from the chargeable earnings. Property Loan or Loan against property is a kind of loan which is allowed by the bank on the condition of keeping the customer’s current assets as a security with them. These loans are very useful when other resources of financing get exhausted. Education Loans offered by various banks in India provide much required assistance to fund your child’s education when all other resources of finance get exhausted. Education Loans are offered by almost every Indian bank thus providing ample opportunity to students to undergo higher education both in India and abroad. These are the simplest of deposits. We deposit money into our account and we can withdraw it anytime. There would be a small limitation on the number of times we can withdraw money from our account. These are similar to Savings accounts with two small differences. One is, the money in a current account does not earn interest and two is, you can withdraw any number of times. This account is for business people who would have high number of transactions in one single day. These are similar to fixed deposits with a difference being, you deposit a small amount of money every month into this account for a specified duration of time and the bank would compound the interest every month and pay you in lump at the end of the tenure. Any person designated and authorized to transact business on behalf of an account. Each account holder’s signature needs to be on file with the bank. The signature authorizes that person to conduct business on behalf of the account. An oral or written request for an extension of credit that is made in accordance with the procedures established by a creditor for the type of credit requested. A checkless system for paying recurring bills with one authorization statement to a financial institution. For example, the customer would only have to provide one authorization form/letter/document to pay the cable bill each month. The necessary debits and credits are made through an Automated Clearing House (ACH). The process of moving an outstanding balance from one credit card to another. This is usually done to obtain a lower interest rate on the outstanding balance. Transfers are sometimes subjected to a Balance Transfer Fee. Periodically the bank provides a statement of a customer’s deposit account. It shows all deposits made, all checks paid, and other debits posted during the period (usually one month), as well as the current balance. A check drawn on the funds of the bank, not against the funds in a depositor’s account. However, the depositor paid for the cashier’s check with funds from their account. The primary benefit of a cashier’s check is that the recipient of the check is assured that the funds are available. A written order instructing a financial institution to pay immediately on demand a specified amount of money from the check writer’s account to the person named on the check or, if a specific person is not named, to whoever bears the check to the institution for payment. A demand deposit account subject to withdrawal of funds by check. A debit card allows the account owner to access their funds electronically. Debit cards may be used to obtain cash from automated teller machines or purchase goods or services using point-of-sale systems. The use of a debit card involves immediate debiting and crediting of consumers’ accounts. The person (or bank) who is expected to pay a check or draft when it is presented for payment. The bank upon which a check is drawn. The fraudulent signing or alteration of another’s name to an instrument such as a deed, mortgage, or check. The intent of the forgery is to deceive or defraud. A party who agrees to be responsible for the payment of another party’s debts should that party default. A home equity loan allows you to tap into your home’s built-up equity, which is the difference between the amount that your home could be sold for and the amount that you still owe. When a depositor’s checking account balance is inadequate to pay a check presented for payment. A fee charged by a lender to make a loan (in addition to the interest charged to the borrower). A fund operated by an investment company that raises money from shareholders and invests it in stocks, bonds, options, commodities, or money market securities. These funds offer investors the advantages of diversification and professional management. A check written by a depositor that has not yet been presented for payment to or paid by the depositor’s bank. To write a check for an amount that exceeds the amount on deposit in the account. A book in ledger form in which are recorded all deposits, withdrawals, and earnings of a customer’s savings account. The person or organization to whom a check, draft, or note is made payable. A form of extending an unpaid loan in which the borrower’s remaining unpaid loan balance is carried over (renewed) into a new loan at the beginning of the next financing period. A summary of all transactions that occurred over the preceding month and could be associated with a deposit account or a credit card account. An order not to pay a check that has been issued but not yet cashed. If requested soon enough, the check will not be debited from the payer’s account. Most banks charge a fee for this service.